The HHS Drama Department offers students the opportunity to participate in the communal art of theatre. 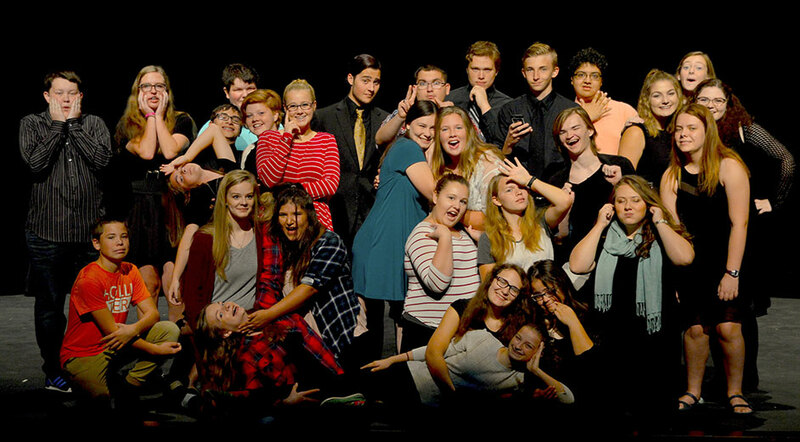 HHS Drama produces a full season of theatre each school year which includes a full length play, a musical, and a one act play that competes at the SDHSAA State Festival. Students can audition for acting roles as well as sign up for technical positions. All students interested in being a part of our productions are encouraged to join the Drama Club. The HHS Drama club is a student led organization with elected positions of President, Vice-President, Secretary, Treasurer and Historian that organizes group activities and supports the Drama Department. Drama club also offers educational travel opportunities to theatrical cities like Minneapolis, New York, Los Angeles, and London.